Juliette Gréco with her Daschund near St. Germain des PrésJuliette Gréco has always intrigued me. Her throaty voice and peculiar beauty are far too unsettling to be considered classically beautiful, but she created her own type of glamour and style by virtue of being against the norm. Her idiosyncratic lifestyle among the famous artists and thinkers of the mid-20th Century has made her a true Bohemian icon. A friend of Jean-Paul Sartre, Jean Cocteau, Boris Vian, Serge Gainsbourg, and the great love of Miles Davis, Juliette Gréco is the original cool chick. Her signature fringe of bangs with a long hairstyle became the look of Existentialist girls the world over (and still is! ), especially when paired with all-black clothes and a smoky café. This is the look Astrid Kirchherr was going for when she started wearing capes and tailored suits. An actress and singer, Gréco is usually known as the chanteuse who sings "Bonjour Tristesse" at the very beginning of the film of the same name. But it was almost ten years prior that she appeared in Cocteau's haunting film Orphée as one of the evil Bacchantes. While her film roles were few but significant, Gréco still continues to record and perform her music today, at the age of 83! 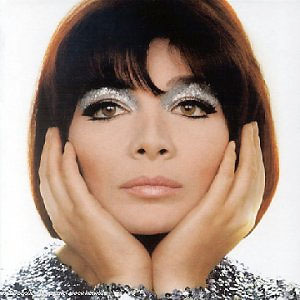 Juliette Gréco by Studio Harcourt Paris - the classic Existentialist look of the late 1950s. Young and alone in Paris after World War II, Gréco started to sing in the cafés and jazz clubs in the St. Germain area. It was here that she met other existentialists, artists, and musicians, including Miles Davis. While I knew the two had been friends, I didn't realize that they actually had a romance too. I tracked down this excellent piece from The Guardian that Gréco wrote about Davis in 2006 that tells their story beautifully. "And there I caught a glimpse of Miles, in profile: a real Giacometti, with a face of great beauty. I'm not even talking about the genius of the man: you didn't have to be a scholar or a specialist in jazz to be struck by him. There was such an unusual harmony between the man, the instrument and the sound - it was pretty shattering...... In America his colour was made blatantly obvious to me, whereas in Paris I didn't even notice that he was black. Between Miles and me there was a great love affair, the kind you'd want everybody to experience. Throughout our lives, we were never lost to each other." Emerging from her dark hipness of the 1950s, Gréco's look adapted seamlessly into the pop glamour of the 1960s. Her hair became bouffant and her smile finally emerged. In 1965, she starred in the famous French mini-series called Belphégor, showcasing her elegance and grace. Two images from Philips Records, and two stills from 1965's Belphégor. Despite their modernity for the time, Gréco's chansons have become tunes as ubiquitous to Parisian romance as anything recorded by Charles Trenet or Edith Piaf. 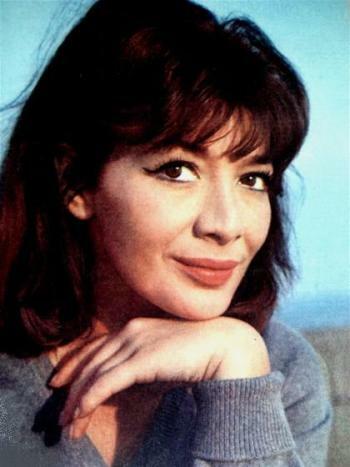 Her famous hit of 1963 "La Javanaise", written by Serge Gainsbourg, is now considered a standard, being covered by both Jane Birkin and Madeleine Peyroux. Her strange and throaty style is indeed an enduring sound! Juliette Gréco in 2009 from Pure People. All images found online; final image from Pure People.